Target opponent reveals his or her hand. Choose an artifact card from it. That player discards that card. Shattered Dreams, Emissary of Despair, Relic Bane, Relic Putrescence, Scrounge, Burden of Greed, are some non-destruction black artifact hate. Cool deck. Only card that is a lot worse than it looks is... Dash Hopes. 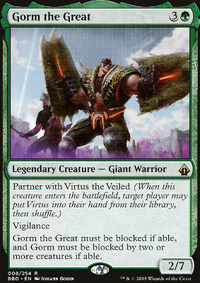 Somehow it's a card that inspires ideas of countering key pieces of combos, and bleeding an opposing aggro deck dry. And somehow, it never works like that - the combo player shrugs, pays 5 life, and shoots of his combo. 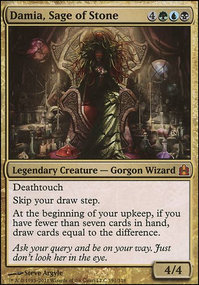 The midrange/control player says: "mmm.... okay", and accepts a 1-for-1, which probably was what he went for in the first place. You never get the deal on Dash Hopes that's best for you. And against Maralen of the Mornsong, any way of paying 5 life to get rid of him, is quite ok (as he is bleeding you for 3 pr turn anyway). I don't know what to replace it with... you can't draw cards of Shadow of Doubt (I considered that one)... Collective Brutality, perhaps? 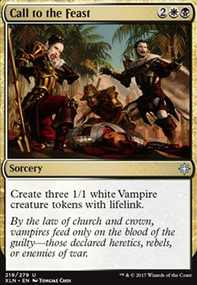 A bit of lifegain isn't bad with maralen in play, discard is always good, and so on. Shattered Dreams in the sideboard... why wouldn't Duress or a 4th Thoughtseize be better? They can target more different types of cards, so you'll have the possibility of using them in more match-ups. 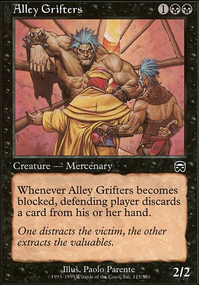 speaking of sideboard: Are there any situations, where you'd board Leonin Arbiter in, rather than have another Aven Mindcensor (ok, any scenario involving Meddling Mage, but how often does that happen?)? And what does Ajani Vengeant do, that is so important you splash an entire color for him? 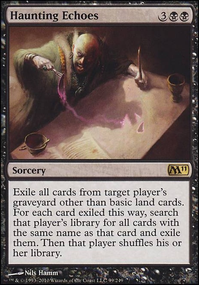 solarPULSAR what do you think of Extirpate instead of Shattered Dreams in the sideboard as a budget replacement for Surgical Extraction? 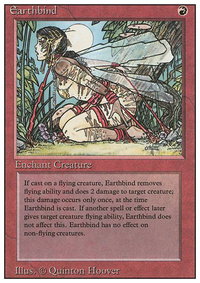 Also do you know of any cards I can play to deal with a Leyline of Sanctity other than Ratchet Bomb? Barbed Shocker goes good with Liliana's Caress, but only if you are going that route of fast discard damage. 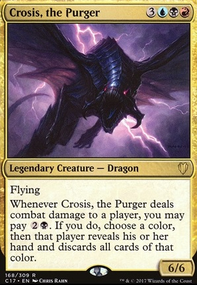 And dont forget Duress, its a classic discard card that people still use in legacy for a good reason. Unmask is a good card as well for key pieces in an opponents deck. and in certain match ups, Mindstab would be good. Painful Quandary is a good late game card if you like. Shattered Dreams is a good side board card against artifacts.